Accuweigh has supplied Salter weigh beams to a Qatar aluminium plant for use in high temperature furnace conditions. Fitted with custom high temperature load cells, the 20 sets of weigh beams are being used for weighing blocks of aluminium anodes straight from the furnace. The aluminium anodes are suspended from an overhead rail conveyor, which automatically stops the blocks at a weighing station where the weigh beams are positioned. Supplied by Accuweigh’s Springvale branch in Melbourne, the Salter weigh beams were custom manufactured to withstand the 100+°C ambient temperatures experienced in this tough environment. 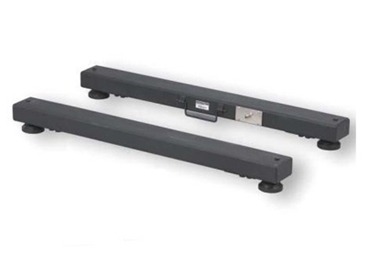 Each Salter weigh beam measures 1200mm in length and is fitted with 2 x 2t capacity load cells. A Rinstrum 1203 digital weight transmitter generates the weight readings for transmission to a PLC using a 4-20mA analogue signal. Australia’s leading industrial weighing company, Accuweigh offers expertise in all forms of scales and weighing equipment.